Limited liability companies in Seychelles can be 100% foreign-owned and established in complete privacy if the shareholders want so. There are many benefits linked to the LLC registration in Seychelles among which we mention the tax advantages. The formalities in setting up a proprietary company (LLC) in Seychelles can be entirely explained by our team of specialists in company formation in Seychelles. The same team can provide foreign investors complete information about how to set up offshores in this jurisdiction. Limited liability companies can be registered in compliance with the Companies Act of 1972 and are known as proprietary companies for which the name must contain Pty. or Ltd. at the end. A proprietary company in Seychelles can be set up as a private company without any minimum share capital requirements and no imposed board of managers. The documents which stand at the base of a proprietary company in Seychelles are the Articles of Association which must comprise the name of the owners, the business address, the name of the registered agent, the purpose of the company, the signatures and the number of issued shares. 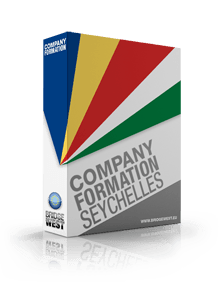 The company formation process in Seychelles can be solved in a fast and reliable manner if all the conditions are respected. Likewise, we can help investors set up proprietary companies in Seychelles in complete privacy. The main advantage of opening an LLC in Seychelles is the tax regime, meaning that such business is not subject to taxes on profits. On the other hand, investors from USA need to report their incomes to the tax authorities in the home country. LLCs in Seychelles can be 100% foreign-owned, and the name of the stockholders are not mentioned publicly. Moreover, proprietary companies in Seychelles are not obliged to appoint a director or a board of managers. As for the registration fees, these are low and payable in USD. For a better understanding of how a limited liability company (proprietary company) can be registered in Seychelles, we kindly invite you to contact our team of company formation specialists in Seychelles as soon as possible.